This modern trash bin is a handy and convenient garbage holder that will get rid of all your unwanted trash in an instant. It offers 0.8l capacity takes minimal space to give you full garbage scope without taking room in your vehicle. You can keep it between the seats, on the side on the door, center console, or wherever you desire. 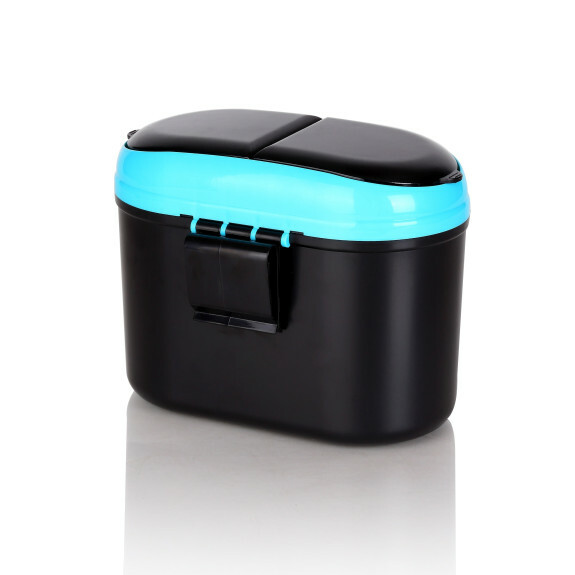 Made from high quality PP + ABS plastic, this mini trash bin is sturdy, durable, and stylish to keep your car clean and organized. The double tilt design with lids allow you to have greater capacity and even organize your waste. Whenever you pass through a drive-thru and need to throw food receipt, card receipt or parking receipt, this litter holder is convenient to keep these pieces of paper organized. No more random items on the floor of your car or in your cup holders.